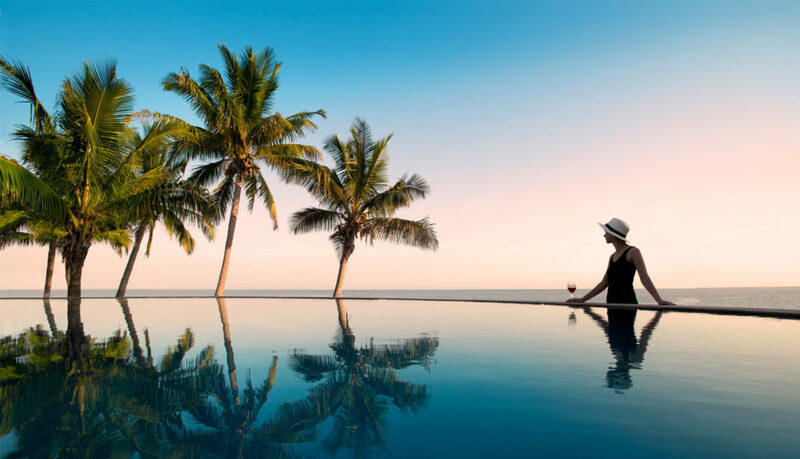 Benguerra Island is the second largest island in the gorgeous Bazaruto archipelago – floating in the shimmering blue of the balmy Indian Ocean off the coast of Mozambique. Wake up well rested in your four-poster bed in your casinha or cabanha nestling in the shade of the lush island forest. 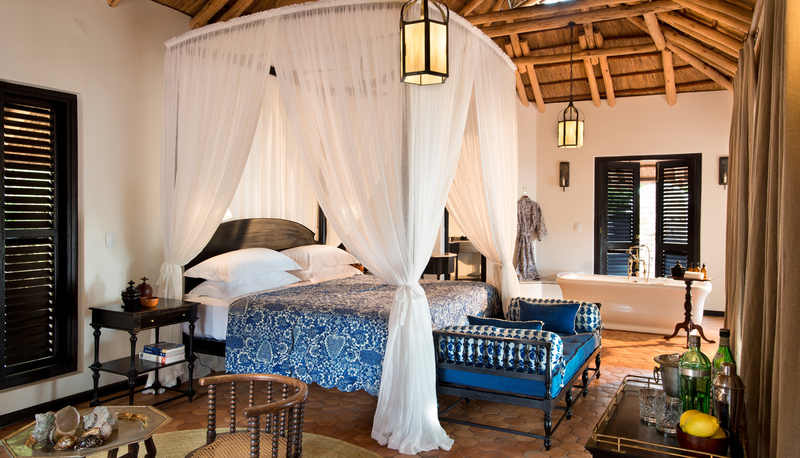 Surrounded with a light and airy feel of afro-chic with a taste of Portuguese- Mozambique tradition. The shutters and wooden concertina doors allow your living space to be completely open to the ocean breezes so you literally rise with the sun. Do as much or as little as you like at Benguerra. Start your day with a sunrise boat ride to one of the excellent dive sites off the island where the teaming life beneath the waves will leave you amazed and delighted or take a long walk along the crisp white sand as the sea laps softly beside you. After a leisurely breakfast of fresh fruits or a hearty but elegant fry-up, you might take to the interior of the island to explore the forests and freshwater lakes for the plethora of bird-life that abounds on the island. A visit to a local village to experience the lives of the local islanders is an excellent way to finish the morning. Under the shade of a 1000 palms take a fresh water swim in the lodge’s rim-flow pool. After a cooling dip you might like to lie back on a lounger and sip on an island cocktail while the gentle ocean breeze lulls you into a pleasant doze. If you are feeling more energetic why not toss a line off a deep-sea fishing boat where some of the best catch and release game fishing in the world awaits. 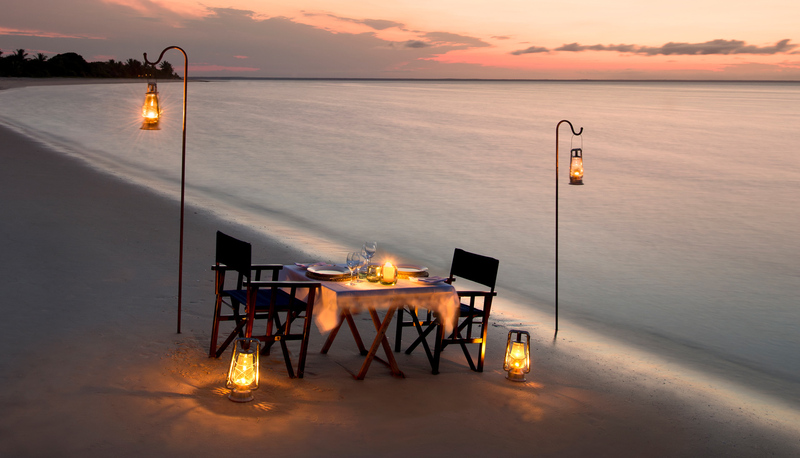 Then enjoy a delicious private picnic on an isolated dune; relax in peace on the beach or on your veranda. Perhaps a rejuvenating spa treatment would be more to your taste before forty winks. In the late afternoon, you could paddle out into the ocean on a kayak and look for the rare dugong perhaps accompanied by a pod of confiding dolphin. Otherwise you could blaze down the beach on horseback, the sun setting over Africa to the west. 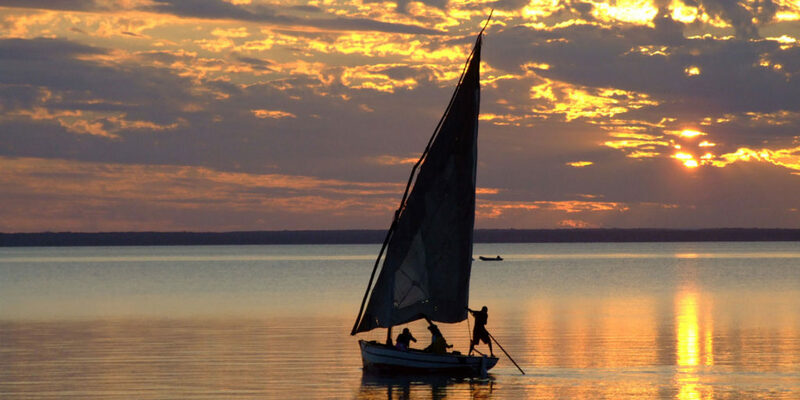 If you fancy something less active, a sunset dhow cruise with your favourite snifter is a glorious way to welcome the stars. On your return to the lodge, take a long and luxurious bubble bath in your spacious bathroom, complete with views and bathtub for two, it’s an excellent place to unwind after a day of island fun and adventure. Enjoy dinner on the beach, your toes in the sand, a perfectly chilled wine in your hand and an exquisite seafood meal in front of you. If you are looking for a little more romance how about some al fresco dining under the Indian Ocean sky on the sprawling veranda next to your own private plunge pool. Finally let the natural cycle and rhythm of nature take hold of you and slip into a deep sleep to the sounds of the Indian Ocean. Doesn’t this just sound like the perfect day? For more stunning Mozambican luxury getaways click here. Botswana – When to go?